No matter where you dig for things to do in Tampa Bay this weekend, you&apos;ll find gems galore! The humble Cuban sandwich has spread far and wide, but we never forget it started here in Tampa Bay. The combination of pork, ham, salami and pickles reflects the diversity among Tampa Bay&apos;s immigrant community century ago. The cigar rollers in Ybor City and West Tampa who made Tampa Bay the Cigar Capital of the World were fueled by Cuban sandwiches. 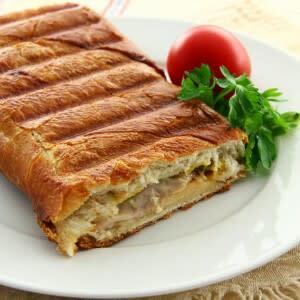 Come out to this year&apos;s festival honoring Tampa Bay&apos;s signature food as we try to build the world longest Cuban sandwich (at 105 feet) with bread from Tampa Bay&apos;s La Segunda Central Bakery, which supplies bread for Cuban sandwiches all over the Southeast. There&apos;ll be plenty of music and family-friendly activities on the streets of Ybor City. Sunday&apos;s City2City competition will aim to settle the question of which city has the best Cuban sandwich -- Tampa or Miami. We know the answer, of course. But we&apos;re happy to let chefs from across Florida try to convince us otherwise. Step into a fantasy world at Tampa&apos;s Lowry Park Zoo, the only spot in the Southeast to host Zoominations: A Chinese Lantern Festival. Dozens of workers from Sechuan, China, home to lantern festivals for 2,000 years, spent weeks creating Tampa Bay&apos;s lantern display along the paths and gathering places within the zoo. 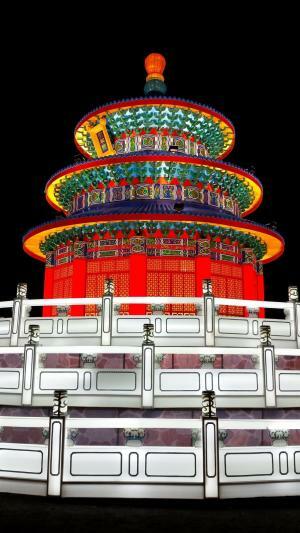 At night, the silk-and-steel structures glow from within. Pass beneath the enormous red gate, and you&apos;ll find elephants, pandas, lions and dragons inside. Pause to admire the reproduction of the Beijing Temple of Heaven, then wonder how they built the Porcelain Pagoda, towers assembled from tea cups and plates. Zoominations opens at 6 p.m. each day. A combo pass gives visitors access to the zoo during the day and Zoominations that same evening. 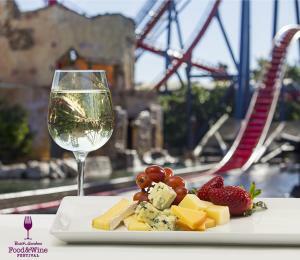 Busch Gardens Tampa&apos;s first food and wine festival turns the park into a foodie&apos;s dream. Nosh your way through dozens of different flavors and wash it all down the local craft beer or selected wines. The festival comes with your ticket, but you&apos;ll have to pay as you go for your sampling of the culinary delights. Stick around for the evenings concerts: Kenny Rogers on Saturday and Pentatonix on Sunday. Shows start at 6 p.m.
Tampa Bay is a winter time haven for Florida&apos;s State Marine Mammal. When the Gulf of Mexico gets too cold, manatees shelter in the warm waters produced by the Big Bend power station in Apollo Beach. TECO, Tampa Bay&apos;s electric company, operates its nature center free to visitors. 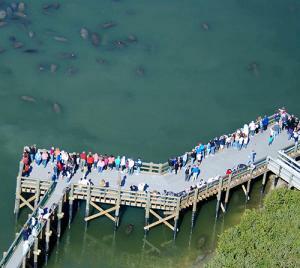 A large wooden deck gives visitors plenty of space to watch the manatees (and lets the manatees watch them, too). Inside, the nature center offers exhibits on the lives and biology of manatees along with some background on where electricity comes from. Over the next few years, the center will expand to include a paddling trail and more exhibits on Florida&apos;s ecology. The center closes in mid-April, the time when most manatees move back out to sea. 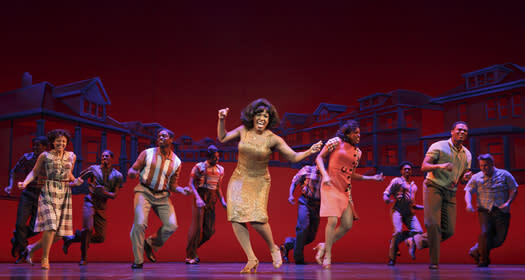 It began as one man&apos;s story … became everyone’s music … and is now Broadway’s musical.Motown The Musical is the true American dream story of Motown founder Berry Gordy’s journey from featherweight boxer to the heavyweight music mogul who launched the careers of Diana Ross, Michael Jackson, Smokey Robinson and many more. Motown shattered barriers, shaped our lives and made us all move to the same beat. Featuring classic songs such as “My Girl” and “Ain’t No Mountain High Enough,” experience the story behind the music in the record-breaking smash hit Motown The Musical! Click for tickets and showtimes.